New strategy:A Cadbury display at a local shop in London. The Indian chocolate market is valued at more than Rs1,600 crore, and is growing at 18-20% per annum. The chocolate market is valued at more than Rs1,600 crore, and growing at 18-20% per annum. By broadening its gifting proposition, Cadbury hopes to outpace category growth. Cadbury India executives say Cadbury as a whole currently commands 70% of the chocolate market in value, and the entire Celebrations range marketshare is 6.5%. To increase its usage width, the Celebrations gift range has been launched in different package sizes, priced between Rs145 and Rs155. The Celebrations gift range is now also called ‘panned’ chocolate, since it contains nuts, etc. “It will be sold at premium food stores and modern trade formats to achieve ‘differential visibility’," says a company executive, who did not wish to be named. The new television commercial from Contract Advertising (India) Pvt. Ltd seeks to portray the Celebration gift range as a smart buy for social visits. Explains Sanjay Purohit, marketing director, Cadbury India: “The communication for Celebrations earlier concentrated on occasions like Diwali and Rakshabandhan. Over the last seven to eight years, the brand emerged as a good gift proposition for occasions and enabled people to come closer. 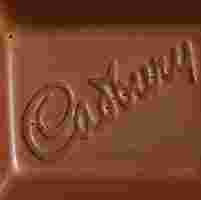 Research done by Cadbury also suggested that we extend the plank of occasion-based gifting to social gifting. It is our endeavour to provide our consumers with all-year-round gifting options. We came up with new packaging for the panned chocolate as we feel that it was significant to refresh and revitalize in terms of aesthetics and graphics." Some brand consultants say Cadbury is going down a well-trodden path. Says Harish Bijoor, CEO, Bijoor Consults Ltd, “Positioning chocolate as an all-year-round gift product has been tried before. Amul tried it with its ‘gift for someone you love’ plank. I don’t know whether this strategy will work well for the brand. Kids gifting chocolate to each other is considered okay in India. But adults gifting it on social occasions? Not so hot. In places like Singapore, however, if you wind up at someone’s home with a wine and a box of Ferrero Rocher, it’s perfectly fine." Despite Cadbury’s attempts, Celebrations is not seen as a premium brand, he adds. In order to be a premium brand, there should be a premium offering. All of the Celebration brands taste the same as the Cadbury Dairy Milk chocolate, its flagship product, he says. In order to make a new market, you need to have a product that’s different. You could try experimenting with dark chocolate or low-cal chocolates, suggests Bijoor. Competition in the chocolate gifting segment emanates from premium international brands such as Lindt, Ferrero Rocher and Hershey’s which are sold in glitzy retail malls. There are also speciality chocolates brands such as Fantasie in Mumbai, Pune and Bangalore, and Patchi candies and chocolates in Mumbai. These brands are likely to be picked up as gifts due to the aspirational factor, according to brand consultants. These premium brands currently occupy barely 2% of the chocolate market in India in value terms, says Bijoor. The entire Cadbury Celebrations line notched a 25% growth in sales for the fiscal year ending March 2007. It has many variations: The basic range is priced between Rs60 and Rs100. The panned/gift range is Rs145-155. Cadbury’s Heroes is Rs50-Rs100. The Rich Dry Fruit collection (to be launched this Diwali) will be in the region of Rs200-500. The entire line is distributed nationwide at 175,000 outlets, and the panned or gift line is sold at 100,000 outlets across one-million-plus population towns and cities.